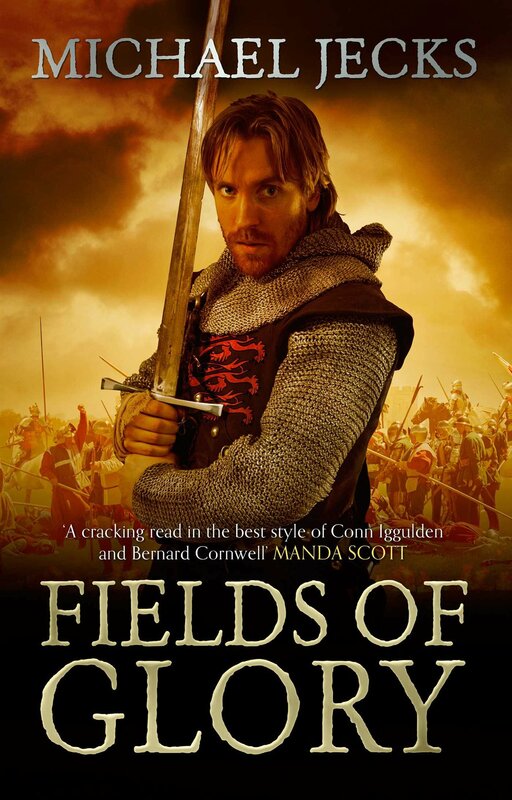 Hundred Years’ War – History… the interesting bits! 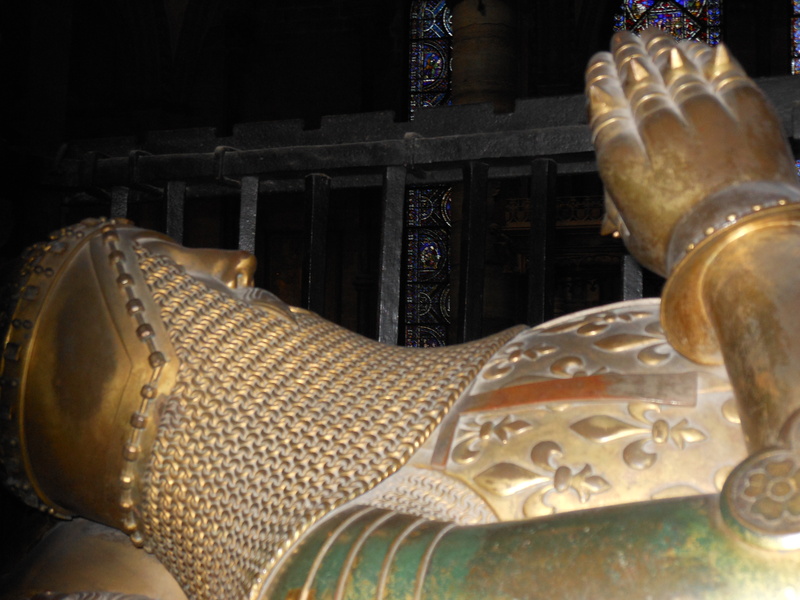 After writing about Yolande de Dreux a few weeks back, I became intrigued with the story of her grandson, John de Montfort. John was the only son of John, count of Montfort, and Joan of Flanders. He was probably born in November or December of 1399. His great-grandmother was Beatrice of England, a daughter of Henry III, who was the mother of his grandfather, Arthur, duke of Brittany. John is first mention in 1341 when his childless uncle, John III, duke of Brittany, provided him with 20,000 livres from his patrimony. However, when the duke died on 30 April 1341, the duchy was thrown into turmoil. Civil war erupted when John’s father and uncle-by-marriage, Charles de Blois, both laid claim to the duchy. John de Montfort the elder was the son of Arthur, duke of Brittany, by his 2nd wife, Yolande. Charles de Blois was married to Jeanne de Penthièvre, daughter of Arthur’s 2nd son by his 1st wife; Guy of Brittany. The bitter conflict was to be absorbed into the much greater struggle, between France and England, that became known as the Hundred Years’ War. Edward III of England supported young John’s father, while Philip VI of France backed Charles de Blois. In November 1341 John’s father was captured and it was up to his mother to assume the de Montfort cause. Edward III sent troops to secure various strongholds, but by late 1342, after an unproductive campaign, he had minimised his military involvement, leaving a lieutenant in charge as he headed back to England, accompanied by John, who was about 3 years old at the time, his mother and his sister, Joan. 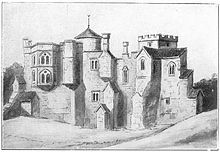 As his mother fell into a mental illness that eventually saw her imprisoned in Tickhill Castle, Yorkshire, John was raised in the household of the queen, Philippa of Hainault. 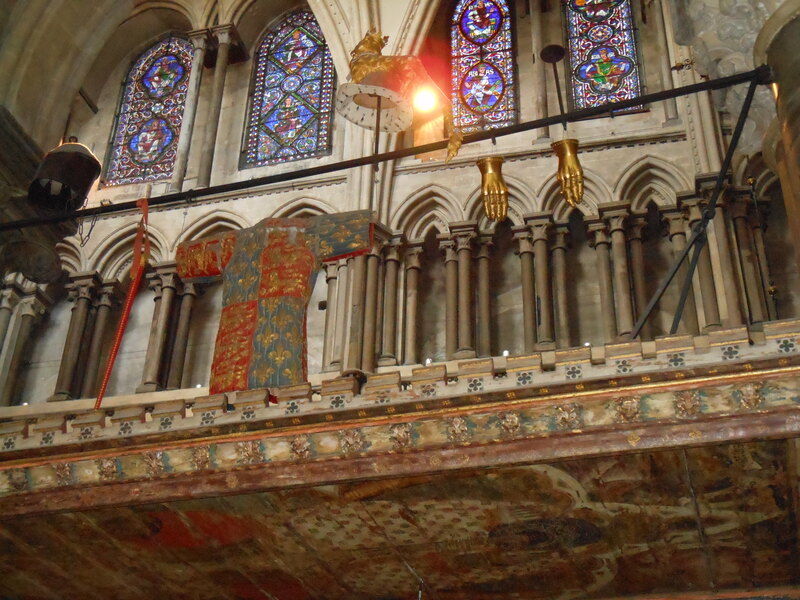 Their fortunes revived briefly when John’s father arrived in England 1345, paying homage to Edward III at Easter, having broken his parole and escaped the duchy. He led a small force back to Brittany, but died suddenly in September of the same year, leaving 6-year-old John in the guardianship of Edward III. Sir Thomas Dagworth captured Charles de Blois at Le Roche Derrien in June 1347, giving the English the opportunity to discuss the succession issue. It looked for a time, that Edward would sacrifice; in 1353 a treaty was actually drafted that was heavily in de Blois’ favour, depriving John of most of his rights. Luckily, for John, it was never implemented and de Blois was eventually released, in return for a huge ransom, in 1356. Edward resolved now to back young John’s claims. Around 17-years-old, John experienced his first military campaign when he fought alongside Henry, duke of Lancaster, in the siege of Rennes, from October 1356 to July 1357, and later taking part in the Rheims campaign of 1359-60. In March, 1361, John married Edward III’s daughter, Mary, at Woodstock. The marriage would end in tragedy as Mary, still only 17, died of plague in September of the same year. Discussions throughout the early 1360s offered no lasting political solution and, now having attained his majority, John returned to Brittany in the summer of 1362. Further discussions hosted by the Black Prince, including plans to partition the duchy, failed. However, when Charles de Blois was eventually defeated killed in battle at Auray on 29th September 1364 Jeanne de Penthièvre was forced to come to terms with John de Montfort and the Treaty of Guérande was signed on 12th April 1365. John was recognised as John IV duke of Brittany by Charles V of France, to whom he performed homage for his duchy in December 1366. 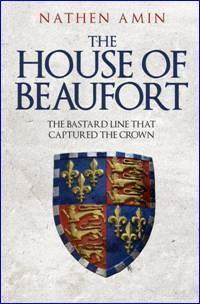 Initially, as duke of Brittany, John’s ties to England continued to be strong, his financial debts and other obligations ensuring this. 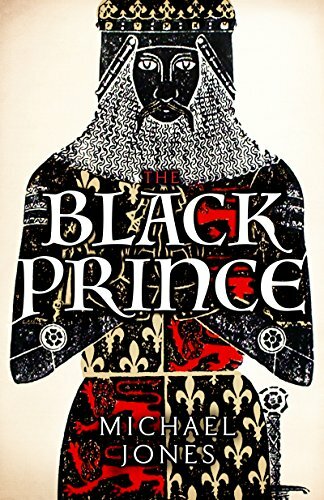 In 1366 he married Joan Holland, step-daughter of Edward, the Black Prince. However, when a lull in the fighting ended in 1369 and France and England were at loggerheads once again, John was caught in a dilemma. As his overlord Charles V was expecting John to fight for France, while Edward III was his old ally and mentor and obviously felt deserving of his loyalty. 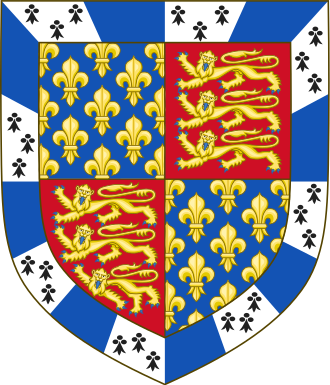 His prevarications meant his Breton subjects grew restive and when John sided with Edward III, after receiving the earldom of Richmond in 1372 as a sweetener, they openly rebelled. By April 1373 John had lost everything; he fled to England as his duchy was overrun by French troops. And yet, worse was to follow. After participating in John of Gaunt’s chevauchée from Calais to Bordeaux, John was tried for treason in the Paris parlement in December 1378. In total, John spent 6 years in exile, living on his English estates and attending court and parliament; he was the 1st foreign prince to be made a Knight of the Garter, in 1374. John was invited to Brittany in 1379 by his Breton subjects, who were beginning to become suspicious of Charles V’s intentions; realising that his attempts to bring Brittany into the French royal demesne would threaten her traditional privileges and independence. The Breton constable of France, Bertrand de Guesclin, deliberately failed to oppose the duke’s landing. After Charles V died in September 1380 a peace was negotiated with the aid of the count of Flanders and Louis, duke of Anjou, which was ratified in the 2nd Treaty of Guérande in April 1381. A consequence of the treaty was that John de Montfort now opposed his former allies in England and Navarre. 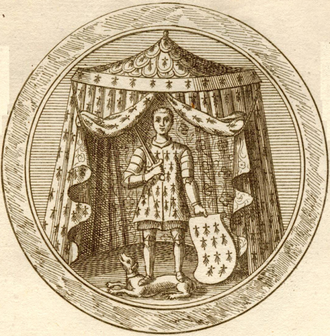 With Edward III dying in 1377, his young grandson was now King Richard II. The English still occupied Brest, and John was had difficulties in collecting revenues from his English estates. 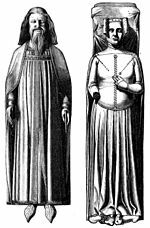 John’s wife, Duchess Joan, had been staying in England during the troubles but, after much wrangling, was finally returned to her husband in 1382, only to die in November 1384. Her death removed an important connection to the English court and Richard II, her half-brother. The 1380s saw John consolidating his position in Brittany, making alliances with other French princes, such as the dukes of Berry and Burgundy and the king of Navarre. He developed the duchy’s institutions, encouraged trade, devised new taxes and exploited minting rights. On a cultural level, John expanded his court and encouraged the arts by extensive patronage. He also encouraged loyalty to his family and dynasty, which was helped greatly by his marriage to Joan of Navarre in 1386 and the birth of his long-awaited heir in 1389. 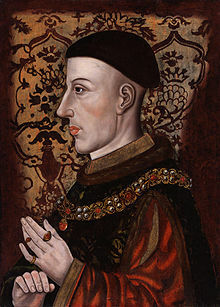 As Anglo-French diplomatic relations thawed in the 1390s, John was able to make a marriage alliance with John of Gaunt, whereby one of his daughters would marry a son of Gaunt’s heir, the earl of Derby. 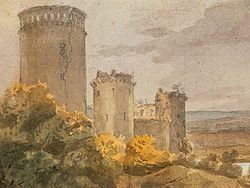 John de Montfort attended the wedding of Richard II and Isabella of France in 1396 and Brest was returned to him in 1397. Joan and John had an affectionate relationship, producing 8 children, 7 of whom survived to adulthood. John and a 2nd son, Arthur, each became duke of Brittany; Arthur was also constable of France and succeeded his nephew, John’s son Peter, as duke. He died in 1458 and was succeeded by his nephew, Francis, son of his younger brother, Richard, count of Étampes, who had died in 1439. A 4th son, Gilles, died in 1412. Joan and John also had 3 daughters: Marie, countess of Alençon; Blanche, countess of Armagnac and Marguerite, vicomtess de Rohan. John de Montfort paid one last visit to England in 1398, when he took formal possession of Richmond, attended a Garter ceremony at Windsor and spent some time on progress with Richard II before returning home. He died at Nantes on 1st November 1399, where he was buried. In 1402 his widow, now the wife of Henry IV of England, erected an English-made alabaster tomb over his grave; it was destroyed during the French Revolution. Joan acted as regent for her 10-year-old son, John, until her marriage to Henry; when she entrusted the regency and custody of her Breton children, to the Duke of Burgundy. Brittany remained an independent duchy within France for another 100 years. Sources: Ian Mortimer The Perfect King; Marc Morris Edward I: A Great and Terrible King by Marc Morris; Brewer’s British Royalty by David Williamson; The Mammoth Book of British kings & Queens by Mike Ashley; Britain’s Royal Families by Alison Weir; The Oxford Companion to British History edited by John Cannon; The History Today Companion to British History Edited by Juliet Gardiner and Neil Wenborn; The Story of Scotland by Nigel Tranter; Scotland, History of a Nation by David Ross; oxforddnb.com; britannica.com; W.M. Ormrod The Reign of Edward III. It has always amazed me that so little is known of the princesses of England, daughters of the kings. The lives of their fathers and brothers are, in the most part, well documented; but the Princesses are often shadowy figures, hidden in the background. Many of these ladies were married off to foreign courts or dedicated to convents, their lives and futures decided by the king, their father. Isabella of Woodstock is, to some extent, an exception. She appears to have been very close to her parents, and spent most of her life at the English court. The eldest daughter and 2nd child of Edward III and his queen, Philippa of Hainault, Isabella was born in June 1332 at the royal Palace of Woodstock. Edward and Philippa had a large family, with at least 12 children (possibly more) of whom 9 survived infancy. They maintained a close relationship with their children often travelling with them; the older children, including Isabella, were with Philippa, in Antwerp, when their baby brother, Lionel, was born. From her infancy, Edward was making plans for Isabella’s marriage: in 1335 negotiations were opened for her to marry the son of the Count of Flanders; in 1344 it was a son of the Duke of Brabant and in 1349 it was Emperor Charles. But these plans came to nought. Edward indulged Isabella, she was with him almost constantly – more than any of his other children. In 1348, during a tournament in Lichfield, she was one of the ladies given blue and white robes – to match those of the knights – by the King. In 1354 Edward paid for a new balcony to be built outside Isabella’s suite of rooms at Woodstock, so that she would have a better view of the park. By late 1361 Isabella was her parents’ last surviving daughter. Her sister, Joan, 18 months her junior, had died, in 1348, of plague in France whilst on her way to her marriage in Castile. And her younger sisters Mary and Margaret, just teenagers, died within a short time of each other in 1361. Isabella finally married in 1365, at the rather late age of 33, in what appears to have been a love match. Her husband, Enguerrand VII Lord of Coucy, was 7 years her junior, and a hostage for the fulfilment of the Treaty of Bretigny. On marrying Isabella he was released, without ransom. 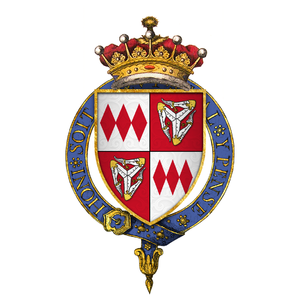 In the hope that Enguerrand and Isabella would remain in England, Edward made Enguerrand Earl of Bedford in 1366 and, later, Count of Soissons. Two daughters followed quickly, in 1366 and 1367. 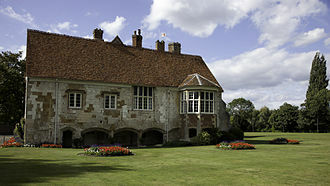 Mary was born at the Chateau of Coucy, France and would later marry Henry of Bar; and Philippa, who was born at Eltham, and would later marry Robert de Vere, Earl of Oxford and Duke of Ireland. Enguerrand’s service with the King of France saw the couple experience frequent separations. Enguerrand left England for the continent and went on to fight in Italy; he renounced all his English titles following Edward III’s death. Isabella appears to have returned to England and remained at her father’s court, with her daughters. Edward’s will gave to his ‘very dear daughter’ Isabella, an income of 300 marks per year, until her daughters were married. Isabella had had a greater control over her own life than most English princesses, before and after her. 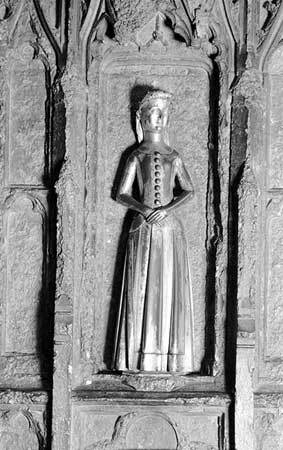 She died, probably in 1379 – although 1382 also has been suggested – and was laid to rest at the Greyfriars Church in Newgate, London. Further reading: Ian Mortimer The Perfect King: The Life of Edward III; Alison Weir Britain’s Royal Families; WM Ormrod The Reign of Edward III; Paul Johnson The Life and Times of Edward III; Roy Strong The Story of Britain. 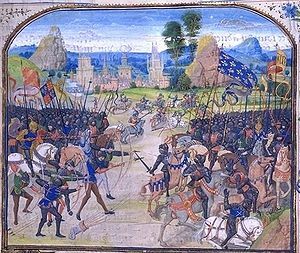 Pictures: the Palace at Woodstock, effigies of Edward III and Philippa of Hainault and the Chateau de Coucy, all taken from Wikipedia.